1Preheat your oven to 425F and line a baking tray with parchment paper. 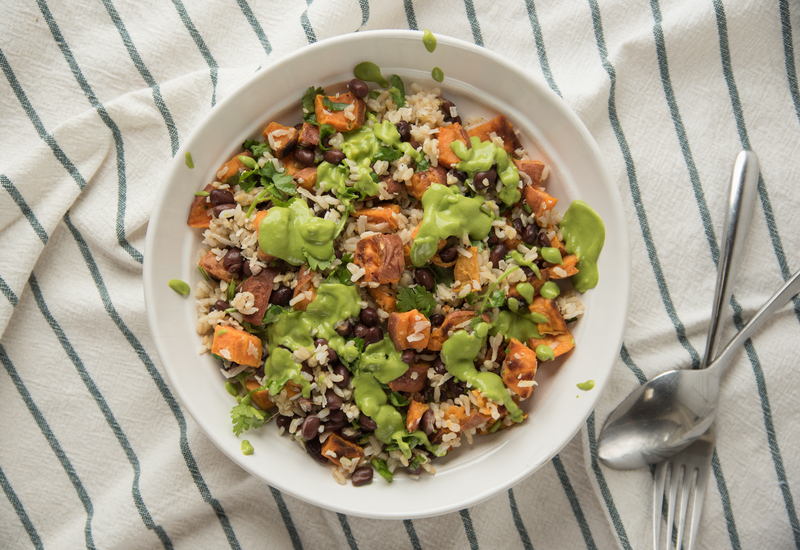 Toss the sweet potato cubes with the olive oil. Spread the cubes over the baking tray and season with salt and pepper. Roast for 25-30 minutes, or until the potatoes are crispy. Remove them from heat. 2While the potatoes cook, make the sauce. Blend all ingredients together in a blender until smooth. (Add water to desired consistency). 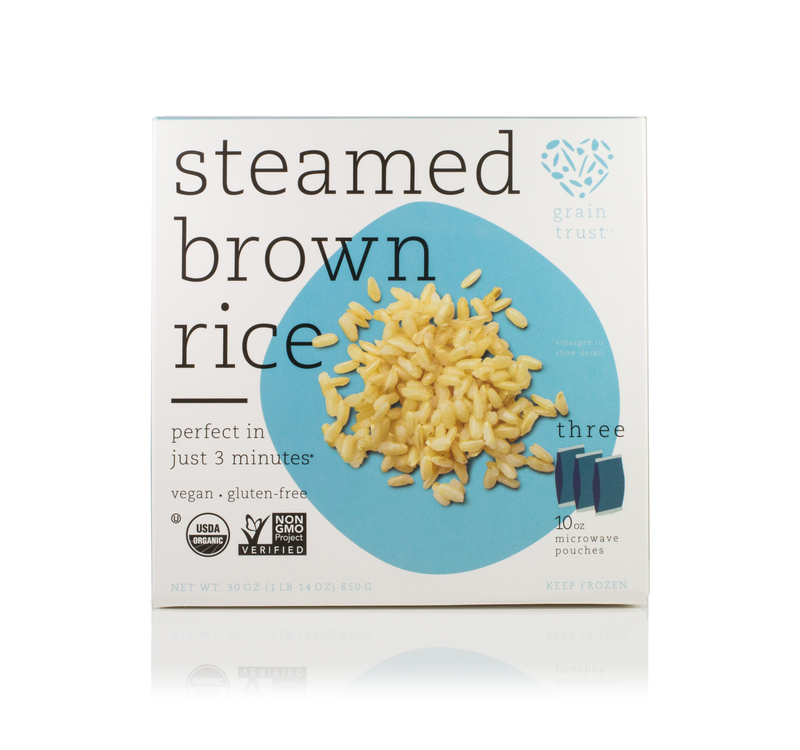 3Cook the Grain Trust brown rice according to the packet instructions. 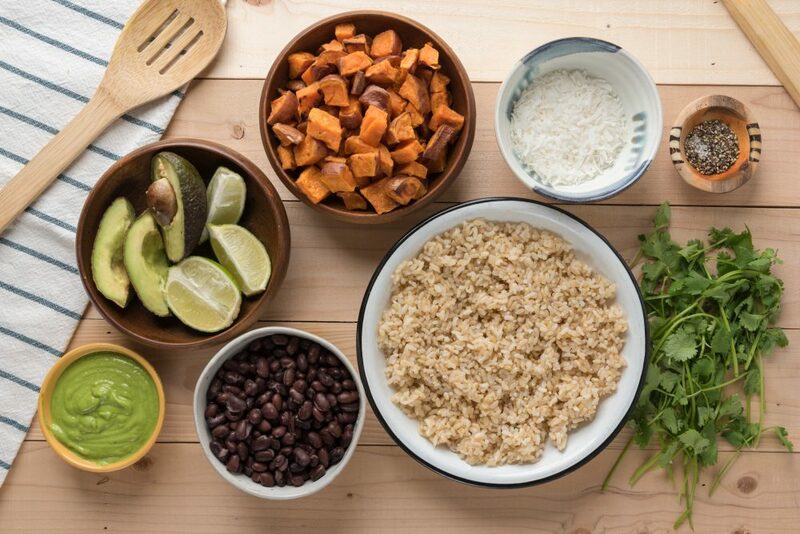 4In a large bowl combine the cooked rice with the lime juice, coconut flakes, cilantro, roasted sweet potatoes and black bean. 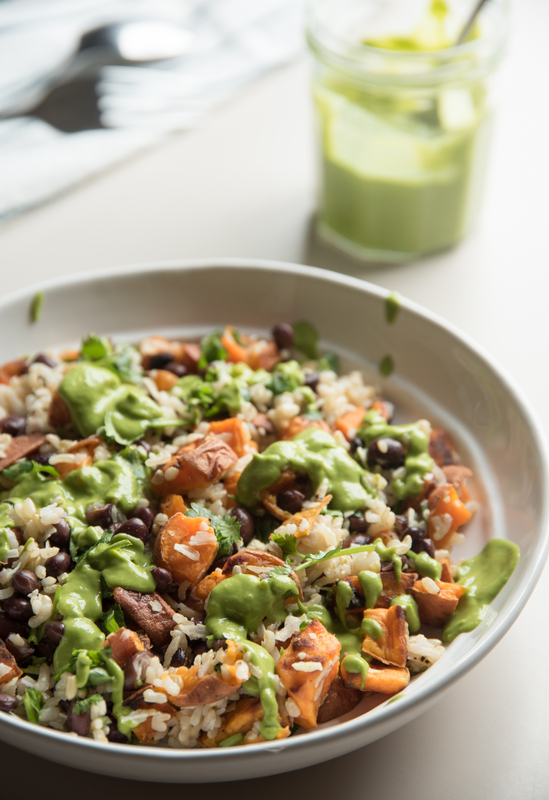 5Serve and drizzle with the avocado cilantro lime sauce.